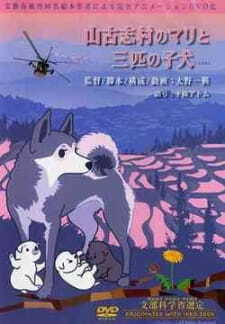 Based on a picture book written about the 2004 earthquake in Chuuetsu, Niigata prefecture. Mari's three puppies were just born, when the earthquake in Yamakoshimura started. Now their home is in ruins, and their owner, an old man is trapped under the debris. Mari somehow manages to break her chain, and encourages the old man, until help arrives. In the end, someone saves the old man, but he can't take in the dogs, so they remain in the now abandoned village. Can Mari and the puppies live on like this?